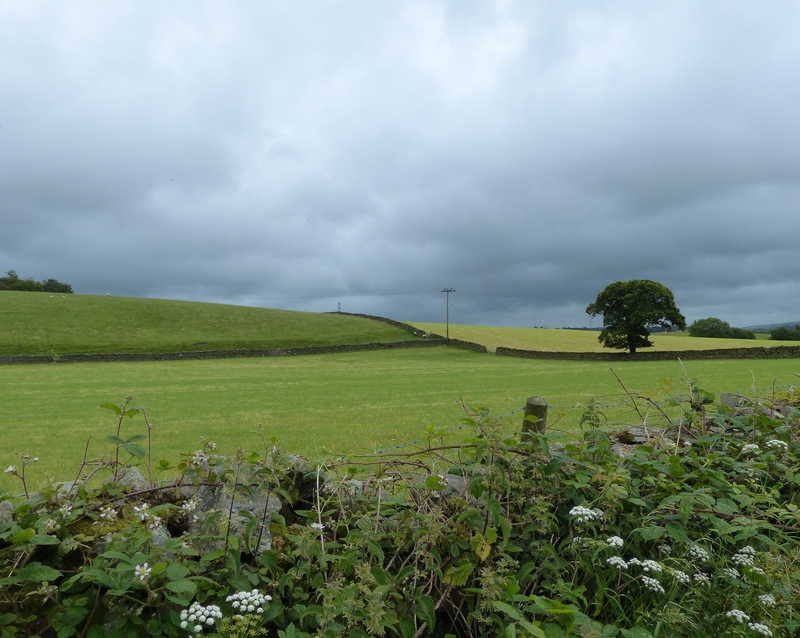 Running, Romans and Rain – Run. Ride. Roam. Mmmm, comfy bed! I wish we could have stayed a few days at the nice hotel in Windermere, just so I could have a few more night’s sleep in that bed! I reckon that would break my 4:30 am wake up pattern, because after just one night I made it through to 5:30, so a few more and I might get a decent night’s sleep. Great bed! With still a relatively early wake up, I left Steve in the land of Nod and I went out for a run. It was a grey morning, but mild and I had a fun10 km trot through the town. I ran into Windermere, then on through the neighbouring village which had nice cobbled streets, then I ran beside the water and past the marina, with the boats moored on the still and tranquil lake. 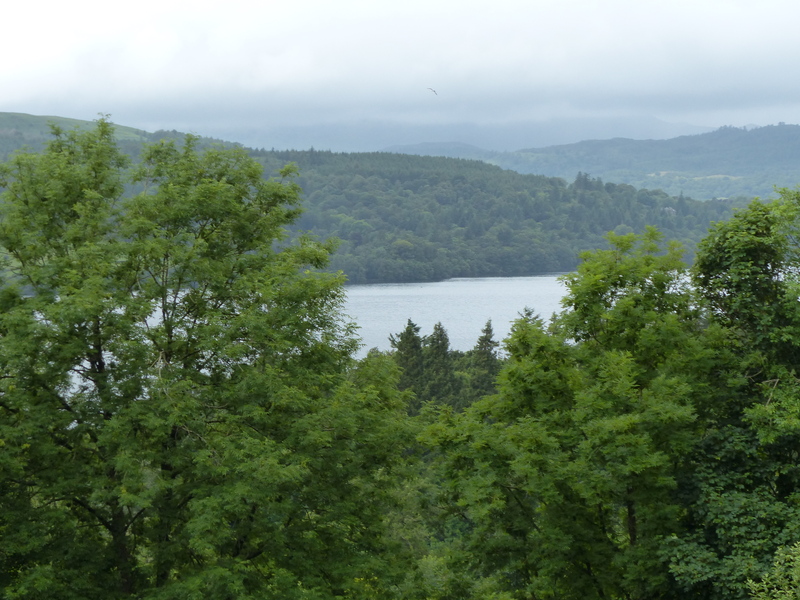 Then an about-turn and a return to our nice little hotel beside lake Windermere. A top start to the day! With Steve now up and about we headed downstairs for breakfast. What a wonderful hotel this is! We discovered that it is part of the Vision Hotels chain and it’s specifically geared towards guests with vision impairment. 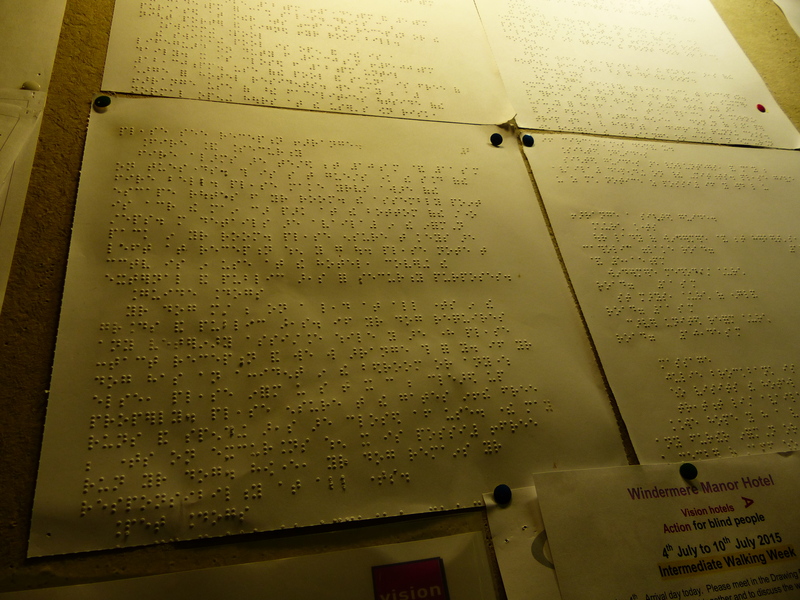 There are notices on the display boards written in braille, the room numbers are on the doors in braille and there’s other things, such as a phone book, written in braille. We were seated for breakfast in the hotel’s conservatory and apart from us and one other person, every other guest in the room was visually impaired and one lady had her guide dog peacefully dozing at her feet beside the table. The atmosphere in the room was fantastic! Either these guests were residents or they’re regulars because the banter and jokes that were flying between them was such great entertainment for the morning. The staff moved between the tables, joining in the banter and calling the guests by name and quietly and efficiently doing what needed to be done to help each person – pouring tea or cutting the top of someone’s boiled eggs. It was so personal and friendly and just how you would like every hotel to be. As well as being friendly and very inclusive with people, it was also very dog friendly. We passed a few guests taking their West Highland White or Fox Terrier out for a walk or into their room. We even had a small dog in the room next to us because each time someone came up the stairs, we heard it barking. It gave us a bark when it heard us too. 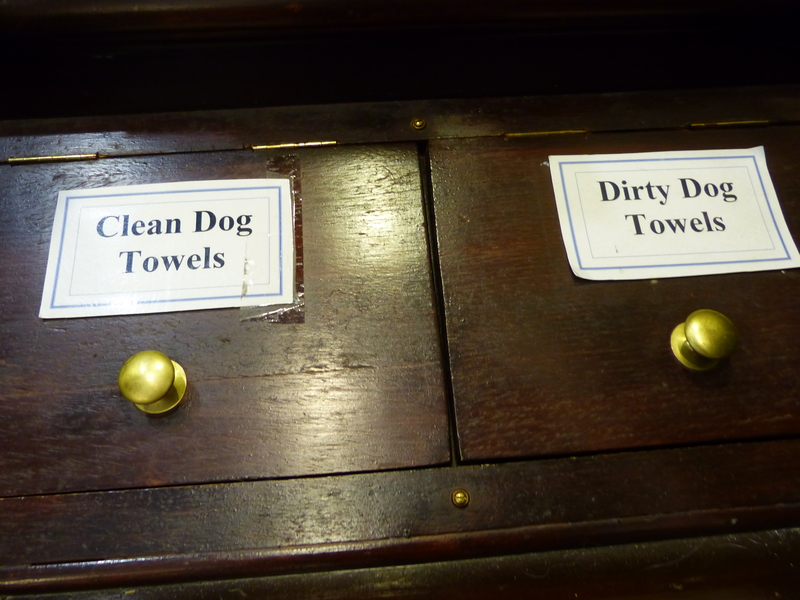 They even had a supply of towels in reception, so people could dry their dogs if they got wet when they took them outside. It was quite a special little hotel. 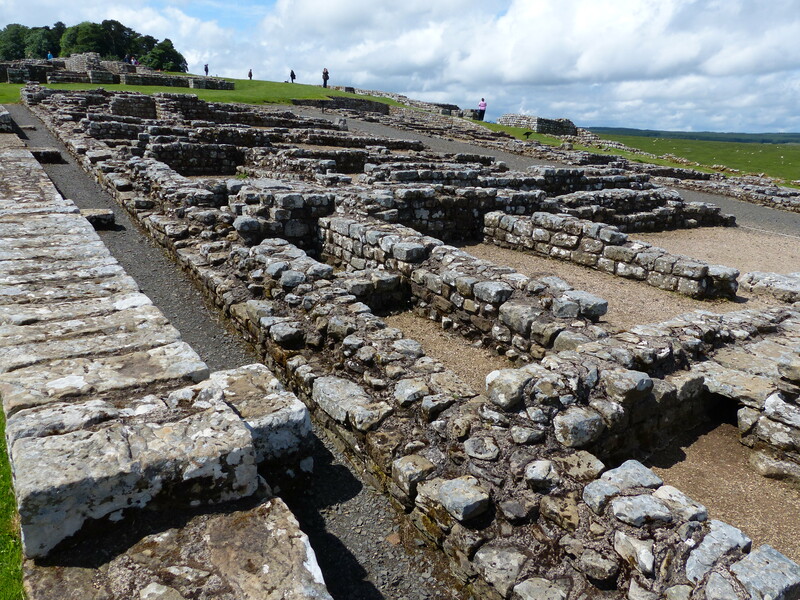 We did a giant u-turn today and began heading north again, to find our way to Hadrian’s Wall. 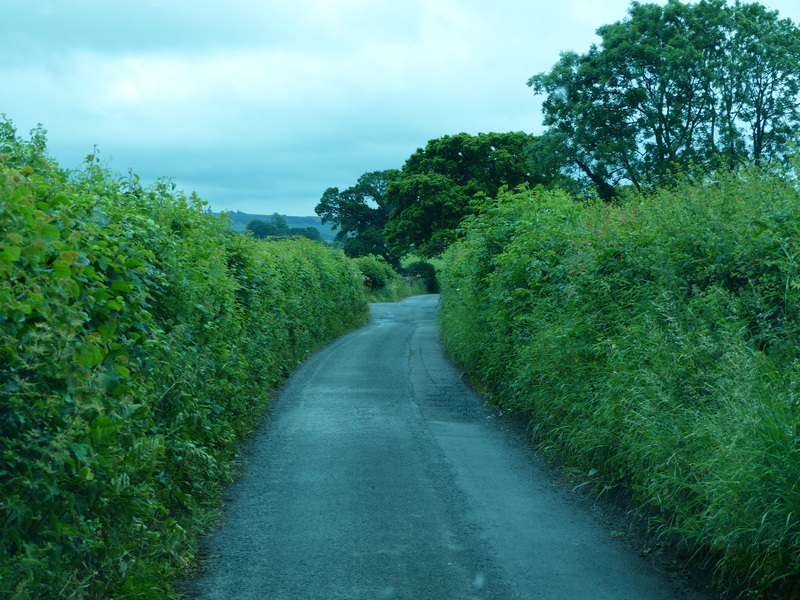 The first part of the trip required a drive along an incredibly narrow road. I mean, this was literally just a van’s width wide. When we were met with oncoming traffic, it was a bit hairy trying to nudge into hedges to make enough room for them to go past. Breathe in! Elbows in! This was a super narrow road! When we did make it to the Wall, we stopped at a small section beside the road. The views across the hills and fields were beautiful. 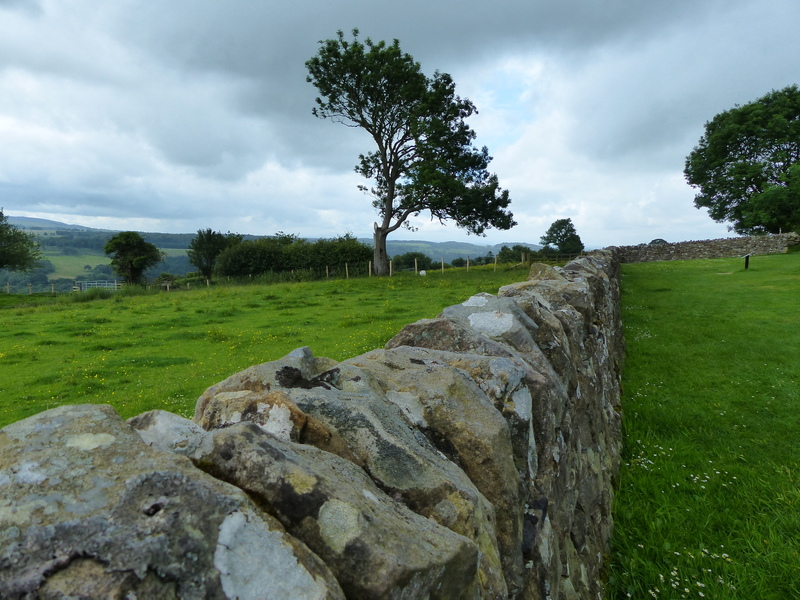 As we stood at the wall, something familiar happened…it started raining! Really raining! We power-walked back to the van and that rain kept on coming down and set in! We still passed quite a few ramblers out and about in that indomitable British fashion of getting out and about no matter what the weather. Well, I guess if they waited for a sunny day, they’d just hardly ever get out, so good on ‘em, rain hail or shine, they take to the great outdoors. We also passed some cyclists puffing up a hill, so I wound down my window and leaned out, gave them a clap and an “Awesome effort!” cheer. It always helped when people did that to me, so I thought I’d do the same! I think I just felt rain! We’re living the Eurythmics song lyric…Here comes the rain again.. 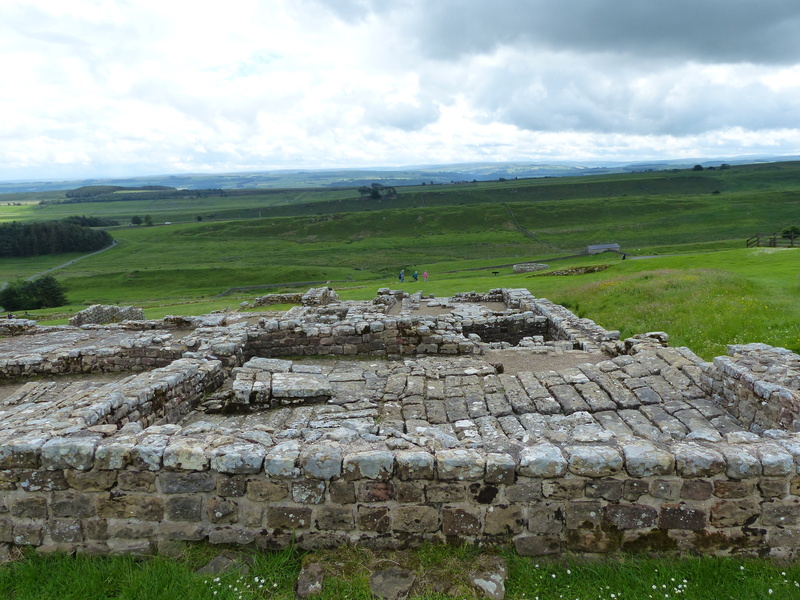 Looking at the sections of wall that we drove past was pretty good, but we decided to find out a bit more and visit the largest remaining Roman fort at Housesteads. The rain eased long enough for us to walk around and have a good look at the remains of this mammoth construction. The site had long sections of the wall, as well as the remains of a huge fort. I find Roman history fascinating, for the reason that the Romans were so dominant across so much of Europe, for so long and then…not! They had such progressive technology but then this seemed to stop too. I find it really intriguing that the power and dominance of a civilisation and the modern forms of technology it developed, could diminish to such an extent. It was quite staggering again, to be walking on something that was thousands of years old. 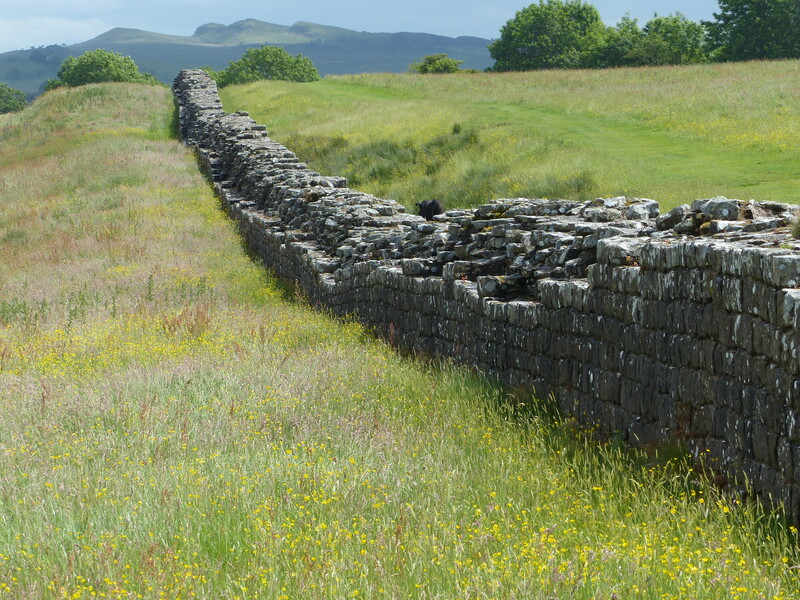 The Romans had continued to invade and expand across Great Britain, until Hadrian became emperor from AD 117-138. He decided that further expansion wasn’t worth it, economically and the cost of continuing to take over more territory wasn’t worth it for what was gained. So he decided to defend the land they already had and built the Wall and forts such as this one to protect their territories against invasion. 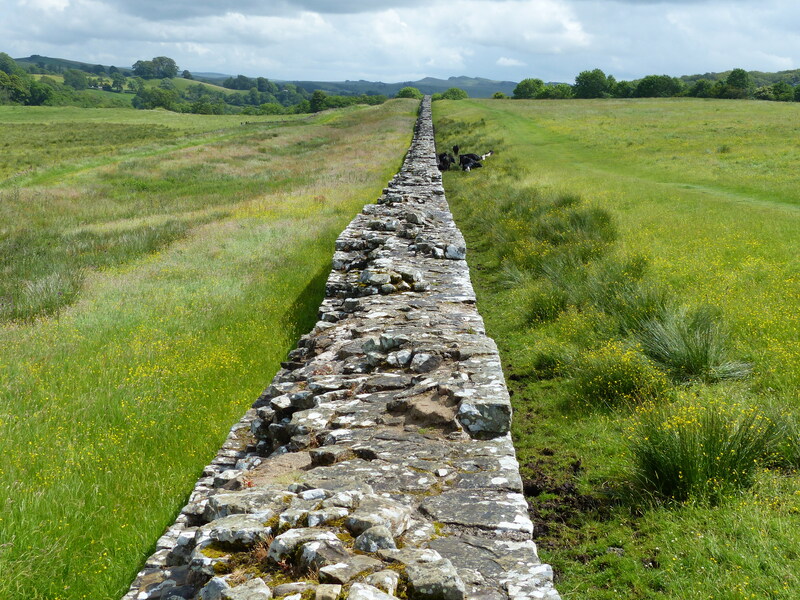 Hadrian’s Wall was basically a symbol of the limits of Roman power. 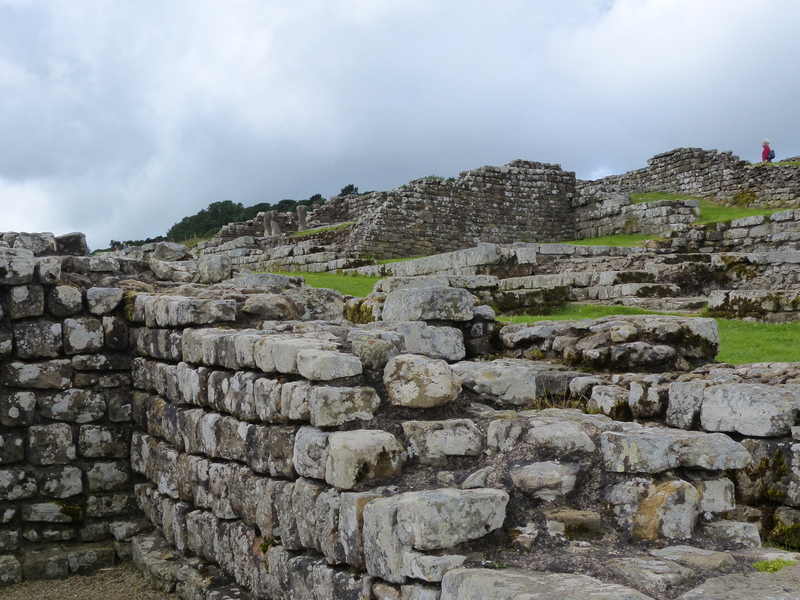 This fort had administration buildings, bunkhouses, barracks, food storage, a hospital, spas and latrines and pretty much anything your average Roman soldier could need. 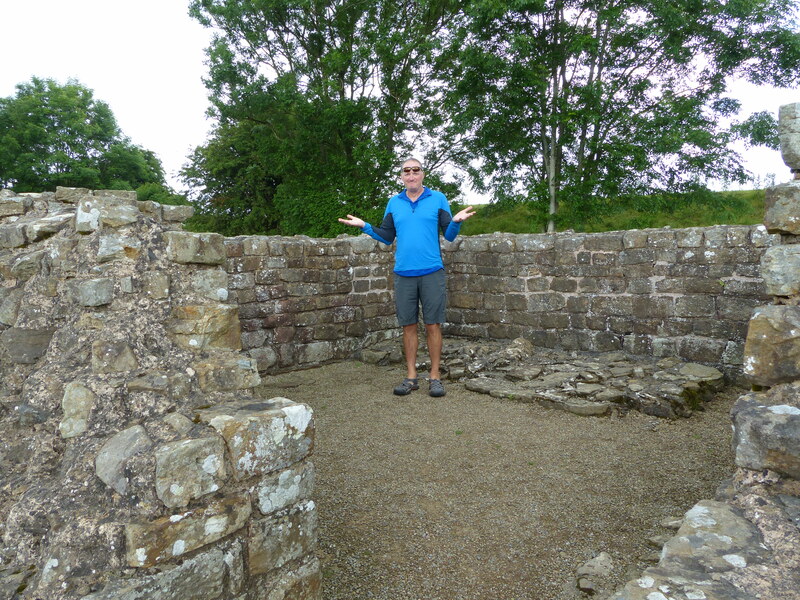 The latrines were interesting because they had flushing toilets! 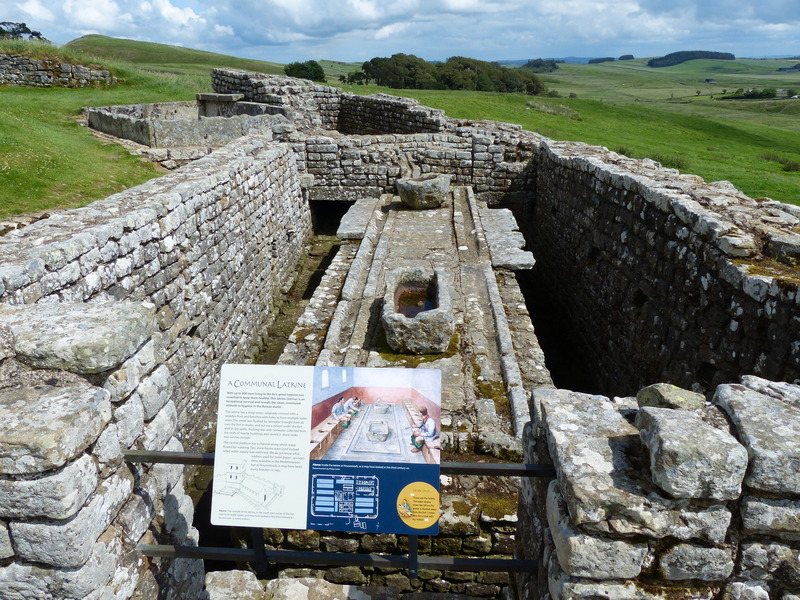 Apparently health and hygiene were really important to the Romans, so their designs included technology that would create hygienic conditions. 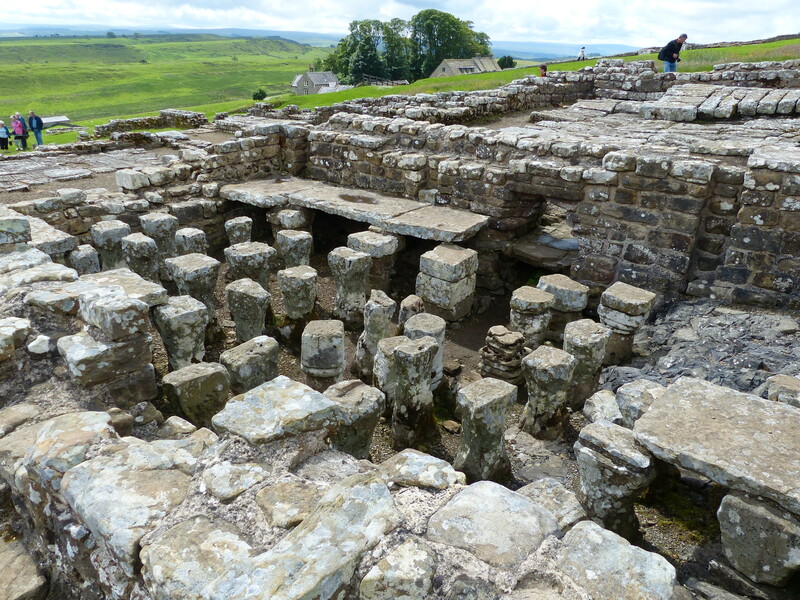 The latrines were communal and had long benches that were the toilets and a sewer ran underneath covered by a wooden floor. Drains were installed to gather rainwater and flush the toilets out through a culvert that then ran outside the walls of the fort. They even installed stone water tanks, so water could be stored and still provide enough during dry seasons, to enable the flushing system to operate! Fascinating! 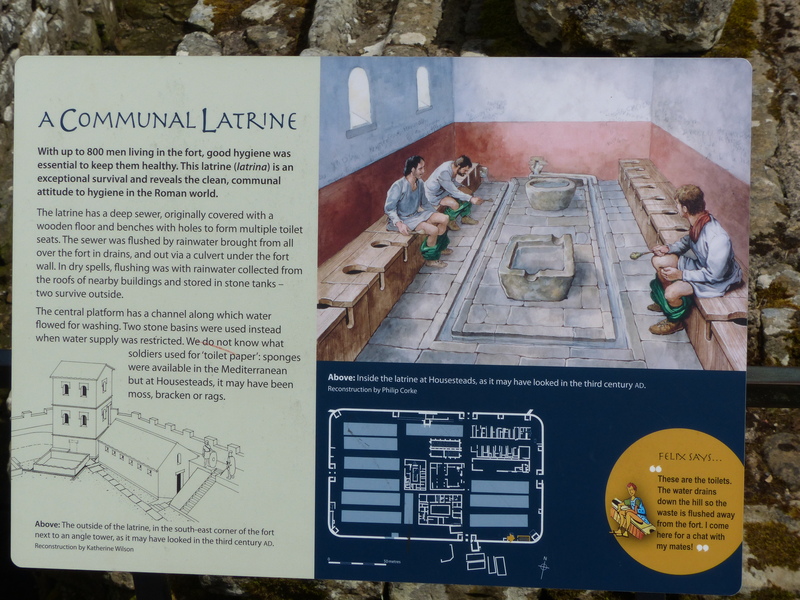 So there you go, the Romans had the early designs for the flushing toilet long before John Harrington invented one in the 1500’s or before Thomas Crapper made the indoor loo a desirable household item! Part of a bathroom or spa. The stone columns were a clever design that sat underneath the floor and circulated warm air. Our onward drive saw us going up and down many, many, many hills! Quite a few of them were double digit gradients and I’m sure if we’d been on the bikes we’d have been cursing the Romans and their love of building roads straight over the top of hills! It kept raining, so we headed for another dry pitstop for the day, just outside Durham. The day had a little bit of everything that we love. A really enjoyable run (well I love that, not so much Steve, since he doesn’t do it! ), friendly people, spectacular scenery, learning some history…the things that just make a day super fun and memorable. Oh, there was rain too, which we don’t love, but it seems to love us! So another little gem of a day really. Our days of motorised transport are nearly at an end, so we’ll make the most of zooming up some more hills and sheltering from some more weather, before we again take to the pedals. We’re looking forward to it. It will be good to be back travelling under our own steam and at the slower pace we enjoy. We’re not too keen on battling the elements again, but maybe if we continue south we might just touch the outer edges of some of the remains of that heatwave! Maybe…perhaps…hopefully…! 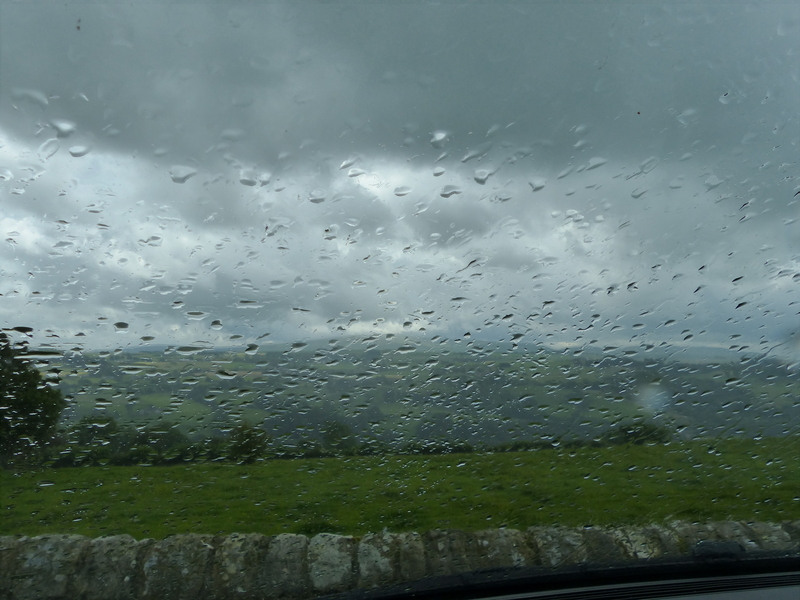 Could you, dear readers, please cross fingers, toes, earlobes, eyelashes, knees, ankles, eyes, elbows, nose hairs and anything else you fancy, to hope and wish for us to travel on in absolutely spiffing weather. If you could do that, it would be grand! Cheers! Heidi, I was fascinated to see the photos of the toilets…very similar to the communal toilets at the ruins at Ephesus, except the toilet benches there were slabs of marble. Our guide told us that the wealthier people of the city had slaves to sit on the marble to warm it up before they sat down with their delicate bottoms! Oh that’s priceless! Imagine that on a resume – Official Toilet Seat Warmer or by royal appointment, Toilet Temperature Tamer!